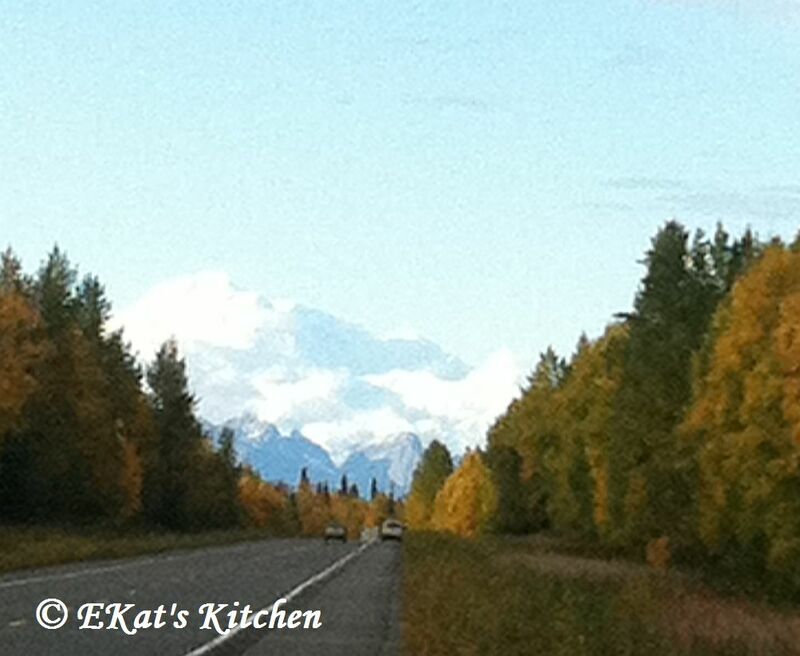 The mountain peeks out of the clouds on the drive up! This weekend, I fell in love with my home state all over again. If you didn't know, I'm from A-L-A-S-K-A!! Mt. 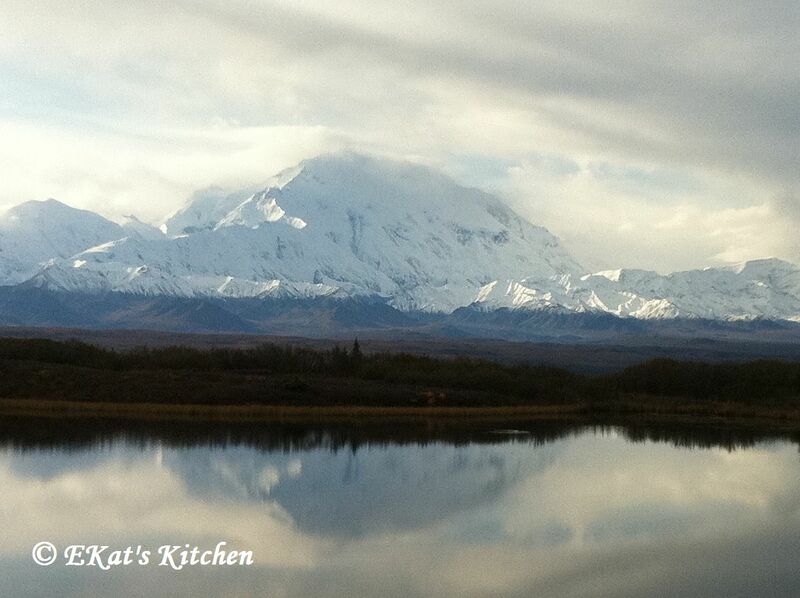 McKinley is the highest mountain in North America from the base to the pinnacle - measuring in at 20,320 feet. Because the base of the mountain is so low (just about 2,000 feet), it's one of the highest in the world. 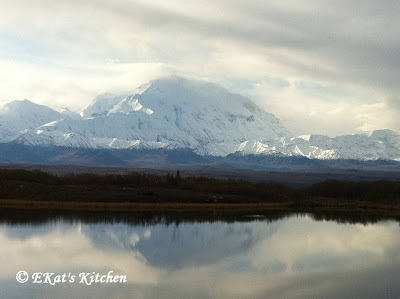 Denali ("The Great One"), as it is known by Alaska Natives, is seated within a spectacular National Park, of the fame of many things, and on most people's bucket lists. To maintain the pristine nature of the Park, access to personally owned vehicles is limited to the first 15 miles of the Park Road. The general public can visit the Park by air (flightseeing), or by bus through one of three National Park Service tours. However, for a lucky few each year, the National Park Service offers a limited number of one-day permits to drive into the Park. These are awarded via lottery to those that apply (only a few hundred on each of four days every fall), and this year we were among the lucky few! Denali is so large that it creates its own weather system, which ultimately means that it's only "out" about 20-30% of the time. We were lucky enough to see it on the drive up from Anchorage to the Park, and even better, she showed her face while we were in the Park itself! 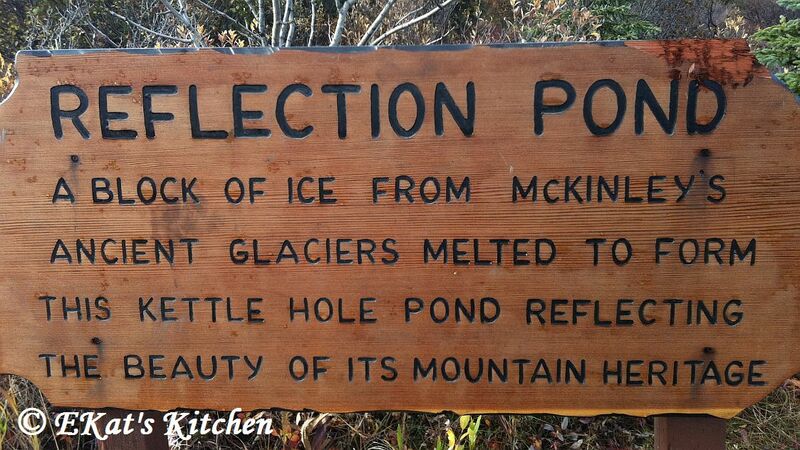 Even better we caught this iconic photo of the mountain reflected in the kettle pond. Photos of a lifetime! 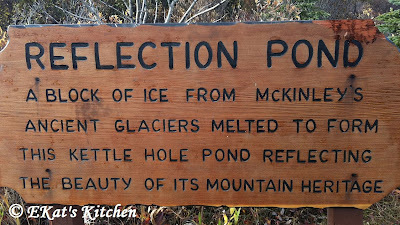 We also saw lots of critters -- grizzlies, caribou, swans, dahl sheep, lynx, galore! And lots of animals that weren't --- trees that looked like moose but were trees, rocks that looked like bears, but were rocks... you get the picture.